It feels like we are reviewing a lot of great Anker products before the holiday season, and I do like doing reviews of great Bluetooth speakers, so with the Anker Soundcore Model Zero Portable Wireless Speaker, I got to do both. After all, this particular speaker has words like “Aural Beauty”, “Stunning Design”, and “Sublime Sound”, and it all seems pretty fitting. Also in its description is this: “a speaker that was envisioned by artists, sculpted by designers, then constructed and fine-tuned by engineers”. 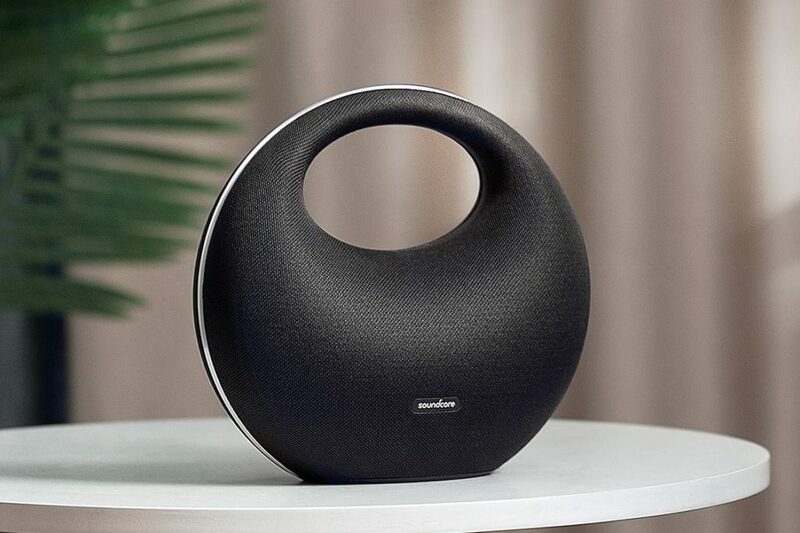 I will have to say that it certainly looks like that, and I am wondering what genius realized that a portable Bluetooth speaker should really have a handle. I think that I need to talk about the specs here, so it has a 2 x 63 mm Woofer, 2 x 19 mm Tweeter, and two passive radiators. I’m not going to pretend that I know that translates to anything but great sound, but it also comes with BassUp technology for even more bass audio. Then, to make this package even better, it comes with a Soundcore App so that you can use built-in presets as well as enhance certain specific frequencies in order to make music come to life. We might as well end with some of the better features like the IPX5 water-resistant rating so you can take it to the beach for some waves. Oh, did I mention that you can connect this feller to two devices? You can. You should be able to get the Soundcore on the Anker site for $199.99, and there is also the Soundcore+ available soon, but I don’t know the price.